Nine-year-old Summer Alba watched in rapt attention as the tour guide at the Yale Peabody Museum of Natural History animatedly outlined the profile of a bird-like dinosaur on a laminated sheet. As the guide described melanin and skin, one wonders whether Summer’s attention returned to the pod attached to her own skin—visible on her upper arm, and perhaps nearly forgotten. She was one of five children (aged nine to 11 years) and one adult participating in a five-day clinical trial for a system to manage type 1 diabetes; the pod is a discreet insulin dispenser. The pediatric patients spent the days of the trial on outings around New Haven, including to the Peabody, where they heard about dinosaurs and handled—with mingled delighted disgust and fascination—fossilized dinosaur poop, a T-Rex tooth, and a Hadrosaur jawbone. Summer, like all those diagnosed with type 1 diabetes, needs to keep careful track of her blood sugar levels, controlling highs with doses of insulin and lows with snacks. Managing the disease is a never-ending numbers game with high stakes. To avoid organ damage from complications later in life, those with type 1 diabetes need to maintain their blood sugar level within a narrow margin—a balance maintained, sans disease, by the pancreas. It’s a task of constant vigilance for patients—and, in the case of this pediatric cohort, their guardians. “With this disease, you need as much simplicity as possible, because it’s a very difficult rollercoaster, every day,” said Michelle Alba, Summer’s mother. The trial her daughter participated in is testing an “artificial pancreas,” a hybrid closed-loop system of blood sugar monitoring and insulin delivery. The simplicity Alba craves is encapsulated in two devices—one a monitor to measure blood sugar levels, the other a pump to deliver insulin—and their heretofore-lacking interaction. “In the current clinical care, for the vast majority of patients who use technologies, those two devices don’t speak together,” said Jennifer Lynn Sherr, M.D., Ph.D. ’11, associate professor in pediatrics (endocrinology) and principal investigator of the trial. In conventional pump therapy, patients receive a continuous dose of background insulin throughout the day. Patients also need to check their blood sugar levels and enter the amount of carbohydrates they plan to eat so that the pumps release a quick dose of insulin as needed. With the Insulet automated glucose control system the monitor and pump communicate, meaning Summer receives additional insulin as her blood sugar level rises, and the system will cut back delivery as the level drops without her having to lift a finger. “It’s not like you slap on some devices and never have to worry about having diabetes again,” Sherr cautioned. “It’s automating some of the process.” Patients using the Insulet automated glucose control system still need to check their glucose monitors and administer a larger dose of insulin before eating a meal. Yale has been at the vanguard of diabetes research for decades. Together with Robert Sherwin, M.D., CNH Long professor of medicine (endocrinology), William Tamborlane, M.D., professor of pediatrics (endocrinology), orchestrated the first clinical trial of an insulin pump at Yale in 1979. Before that, the disease was managed by frequent injections of insulin. The pump was an innovation, delivering doses instead through a device that was always connected to the body—physically, that is—the wireless connection between the present system was still decades away. Tamborlane played a role in testing the continuous glucose monitor (approved in 1999) that has helped decrease the need for finger pricks. Insulet’s automated glucose controller is the second hybrid closed-loop system tested at Yale. The other, developed by Medtronic, uses a tubed pump (different from the tube-free pod pump Summer wore on her upper arm) that obtained FDA approval last September. These systems are anticipated to improve control and convenience for those with type 1 diabetes—a diagnosis shared by some 35 million people around the world. Like her patients, Sherr has a lifelong acquaintance with the balancing act that defines diabetes management. “It’s such a tightrope people are walking, in terms of wanting to do their best, and yet being scared that something disastrous can occur,” she said. For diabetes patients, nighttime—when low blood sugar levels can occur—can be worrisome. 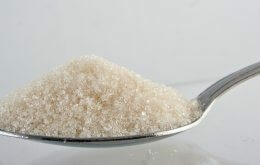 If a low blood sugar is prolonged it can lead to seizures. Given these concerns, some patients allow their blood sugars to remain above target, decreasing their anxiety about sleeping, but paradoxically increasing their risk for long term complications. “I haven’t slept well in four years,” said Brenda Ramos, a school nurse whose son participated in the study. Her son, she said, was now steady all night. “The fact that the machine is thinking for you, and it catches things before they happen—it knows where his blood sugar’s going before you actually see it. I think that’s just amazing,” she said. Alba shared Ramos’ enthusiasm. “I cried because I was so happy last night,” she said. “A few times I just couldn’t believe what a great day we had—because it’s not like that for type ones. Ever.” For the participants and their guardians, the real trial is daily life.